We facilitate the learning journey by exposing people to clever practices, strategies and case studies. We encourage them to share their experiences and learn from one another. Many people are 'thrown into the deep-end' of the tendering process. If you find yourself in the situation of being involved in issuing or responding to a Request for Tender (or other procurement documentation) with no previous experience, we can help. 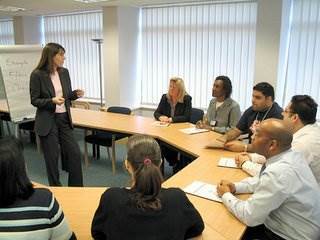 We facilitate hands-on (practical) workshop exercises so no-one suffers death-by-PowerPoint! Towards Better Tendering (1-day) covers tendering fundamentals and emerging best practice. An effective and popular buyer-side seminar since 1999 that covers all the bases of planning and approaching the market. Towards Better Tender Evaluation (half- day) focuses on qualitative and quantitative evaluation as well as risk assessment, thereby leading to higher quality decision-support information. Presented by a consultant who has specialised in evaluating tenders for over 20 years. Defining robust requirements for the procurement of goods and services is core to any Approach To the Market. Overly prescriptive requirements exclude innovative and alternative solutions. Vague requirements often lead to gaps in scope or function. Defining Requirements is a one day hands-on (practical) workshop designed to build the skills and knowledge required to facilitate and develop a clear and concise specification or statement of requirements. Negotiating Better Contracts (1-day) is a contemporary and highly interactive workshop to train and prepare individuals and teams to negotiate contracts and achieve your outcomes at a position the other party can accept. Towards Better Contract Management (1-day) establishes a base understanding of contracting and then, through various exercises, explores better ways to manage contracts on a day-to-day basis. frontfoot™ (half to 1-day) is a flexible professional development workshop for companies interested in improving the way they respond to Requests for Tenders or grant applications. If you would like a workshop outline, drop us a line.